We released our patent-pending dual sensor gas analyzer (DSGA) a few months ago. I’m still not convinced that I did a very good job of explaining how it works, its ease of use, and benefits of having one on every mud logging unit. Given the current state of the oilfield, I could never forgive myself I didn’t provide my customers with every possible advantage available to them while they are trying so hard to secure their mud logging contracts. Having the DSGA is a tremendous benefit to both the mud logger and their oil company client. It can locate oil shows that can easily be overlooked by using a mud logging chromatograph alone. 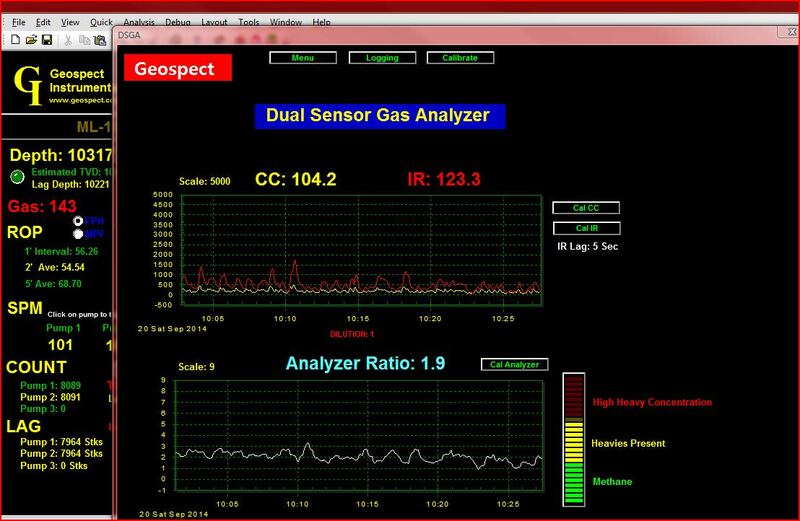 The Dual-Sensor-Gas Analyzer (DSGA) by Geospect is the latest gadget in mudlogging technology. Instead of breaking gas down into component gases like a chromatograph, it only “sees” two gases. The two gases that the DSGA sees are METHANE and HEAVIES. By heavies I mean the combined hydrocarbon gases that are heavier than methane and are present in the continuous gas stream that enters the analyzer. Both a catalytic bead sensor and an infrared sensor is installed inside of the Geospect mudlogging system. Both sensors are then calibrated to read the same amount of gas units when exposed to methane gas. The DSGA then continuously compare the outputs of both sensors. When methane only appears in the gas stream, both curves track closely with one another. When the infrared sensor gives a greater response to gas than that of the CC sensor, heavy hydrocarbons are indicated. It works like this because an infrared hydrocarbon sensor gives a greater response to heavies than it does to methane (See Figure 1). This hypersensitive response to heavy hydrocarbons by the infrared sensor allows us to determine that heavies are present by simply comparing the outputs of the two sensors. 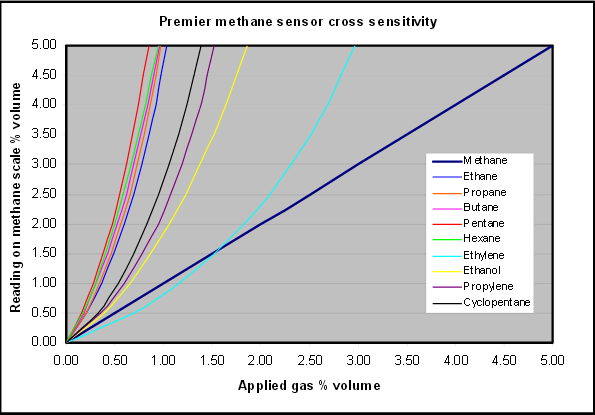 (Figure 1) Graph showing just how much more sensitive an Infrared sensor is to heavy hydrocarbons than it is to methane. Compare the IR sensor to the Catalytic Bead Sensor (Pellistor) and you have an Instant – real-time determination of heavies being present in the gas stream. The DSGA also outputs a ratio of the IR sensor to the CC sensor. Anything greater than one (1) is an indication of heavies. As the ratio increases, so does the amount of heavies . The Dual-Sensor Gas Analyzer (DGSA) by Geospect is better at detecting heavies in the field than a chromatograph. I say this because of the following reasons. It is simple to use. It gives extremely reliable and repeatable results, and the real-time resolution aspect of the DSGA is outstanding. It is simple to use and accurate. It’s relative easy for the field technician to determine the presents of heavies which gives the mud logger confidence in his equipment and his ability to quickly and accurately ascertain the EXACT depth in which they were encountered. In contrast to a mudlogging chromatograph, the DSGA continuously analyzes samples in real-time; alerting the mudlogger the instant heavies are encountered. Most mudlogging chromatographs take a five second sample of gas once every five minutes or so. During fast drilling, the resolution of a typical mudlogging chromatograph leaves much to be desired. The potential exists for a chromatograph to miss entire pay zones because of this. Also given the complexity of some chromatographs, the potential human error exists. The Geospect mud logging system can easily accommodate both a chromatograph and the DSGA. There’s nothing that says you can’t have them both. By combining the two tools, you can get an accurate measurement of the hydrocarbon composition of the gas, as well as, very good resolution. There is also the peace of mind of knowing you are not going to miss a show.